Aside from the obvious swapping of heavy moisturisers for lighter oils and serums, sometimes our skin just needs a little extra help to reawaken our face. But, fear not! There’s plenty we can do to wake up our complexions, as well as protect it from the aggressors that come with the summer sun. Step in Epionce. At The Clinic, we have been using Epionce products for over 5 years. Why? Because we know this award-winning brand works and will give you the skin you want. Hot summer days and heavy makeup do not always go hand-in-hand. Help smooth skin texture and improve radiance with Epionce Lite Peel: Refresh. Performed by your skin care professional, this lunch-time peel will enhance a natural, dewy glow – for a makeup optional look with no downtime, it is perfect for summer skin. Enhance your summer glow with daily use of a lighter serum, like Intense Defense Serum, and a Renewal Facial product for skin type. Renewals are the foundation to help keep your skin healthy and hydrated even during a hot summer day. Don’t forget to protect your healthy, glowing skin from the summer heat by using an Epionce sunscreen. 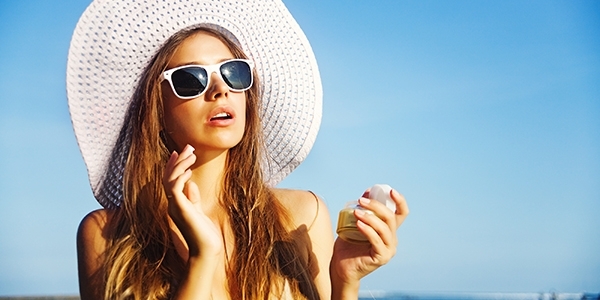 Use a broad-spectrum sunscreen with just a hint of colour for flawless UV protection. Epionce Daily Shield Tinted SPF 50 is our top pick! The Clinic offers a full range of treatments for all body and skin types and issues, all procedures are administered by a fully qualified aesthetic practitioner. Prior to any treatment, the experienced team at The Clinic will discuss the process and talk through any questions or concerns you might have.